Unbeknownst to most, your HVAC system is a common source of water damage. The very mechanics of your own HVAC system produces condensation (water) that has the potential to escape from the HVAC system and into your house. The biggest risk of an HVAC leak is that the leak may not be detected immediately thus potentially exposing you and your family to mold, structural damage, and costly repairs. The risk of mold is well known and well documented and it is a real concern to a healthy house. Should your HVAC leak into your structure, mold can be introduced into your HVAC system, which, in time, can germinate and be spread throughout the entire building so that your exposure is maximized. Water is classified in to three categories: categories one, two, and three which defines the level of contamination and precisely how to professionally address each water category. In truth, albeit unfortunately, there is no practical or safe way for a layperson to remove mold or bacteria from an affected area as the technology, skill, and technique required is not common knowledge and is a skill of craft. While anyone can apply an antifungal and wipe a visibly effected area clean, such action can, and most likely will, aerosolize microscopic spores thereby spreading the risk opposed to eliminating it which is the primary reason for special care. Mold, however, is the tip of the iceberg when it comes to HVAC water damage. An undetected leak could silently but relentlessly ravage the building from inside the walls thus destroying the building's core. In the real world, homeowners have no indication that their HVAC system is dripping until they find water coming out of a wall or hear a dripping sound that seems to be without source. For reasons such as a lot of these, we recommend that you have your HVAC system inspected by a expert on a regular basis. Should the HVAC inspector inform you that there may be a leak or issues with mold then it would be prudent to call your local independent water damage restoration company for help. While we honor the American Can-Do attitude and it's Do-it-Yourself philosophy, there are some cases that are beyond the scope and ability of a Do-it-Yourselfer... this is such a case. Only an independent, specialist water damage restoration company has the requisite education, experience, equipment, and certifications and licenses to safely and completely remove mold from your house and to return your house to its preloss and premold condition. Excellent information! Water damage is a pretty common way.When it comes to water damage/removal and flood damage, your home is no different. Hello! I will be looking forward to visit your page again and for your other posts as well. Thank you for sharing your thoughts about water damage in your area. I am glad to stop by your site and know more about water damage. Keep it up! This is a good read. Category 1 Water refers to a source of water that does not pose substantial threat to humans and classified as "Clean Water". Examples are broken water supply lines, tub or sink overflows or appliance malfunctions that involves water supply lines. Regardless of the cause of your water damage, it’s important to call a company that will come to your house immediately. The water may have stopped flowing into your home, but the damage and loss will only get worse until a professional begins restoration services. Water Damage can be a devastating event for homeowners and most times will happen without warning. Its a good post| water damage whether it be from a flood, plumbing leak, or roof leak. First off you need to stop the water! Agree. If the HVAC system is damaged, water leak will likely follow suit. Mold problem will occur. You should have restoration equipment to use. What an interesting post. I was just looking up information on Houston water damage when I came across your blog. Your post was very helpful and full of information. I am going to look around the rest of your blog! Thanks again! Very informative posting. I had some extensive water damage to my basement after Hurricane Sandy hit, and it took such a long time to restore it to the way it once was. We knew the damages mold could have so we got that taken care of right away. Thanks for this post. I've been looking for some help with my water damage in Rochester, NY. Can you recommend anybody? HVAC companies sell systems all over the US but the climate in one state can vary great from another. 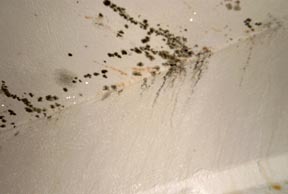 So a mold loss in Arizona can look entirely different from a water damage in Maine. Water leaks can be scary. I dealt with one about a year ago that looked like a huge triangle on my ceiling. These tips will help me find out what caused this leakage. I am currently trying to figure out what do with the water damage repair in Phoenix. Thanks! This was a phenomenal article! We noticed some water leaking in when it rains in our basement. We're worried about the potential damage! I'm glad I came across this site to get some guidance in this regard. Thanks so much!